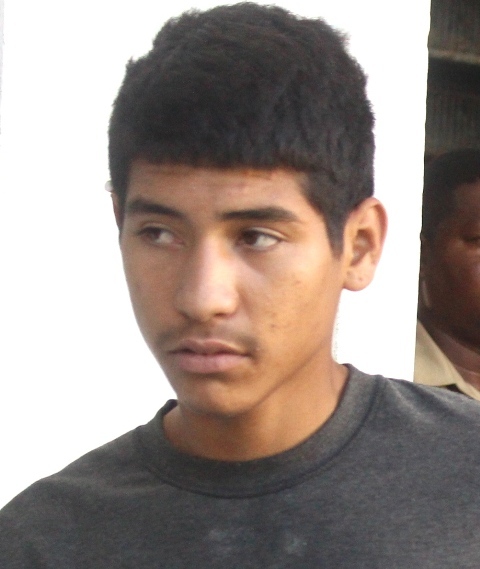 Eighteen-year-old Brandon Portillo of San Pedro Town is headed to jail for six years after pleading guilty to two home burglaries on Ambergris Caye that took place last week. Portillo, a fisherman from the San Juan section of the town, admitted to breaking into the home of Joshua Carballo on December twenty-first and stealing items valued at one thousand, four hundred and seven dollars. Portillo also pleaded guilty to burglarizing the premises of Josliano Guerrero on Barrier Reef Drive the same day, taking more than two thousand dollars’ worth of fishing gear. However, he denied stealing a laptop computer and other items from the home of Terryl Godoy, also on Barrier Reef Drive, two weeks earlier on December seventh. Chief Magistrate Sharon Frazer set two concurrent six-year terms, noting that while he showed no remorse for his actions, he did save the court time by his guilty pleas and he is a first-time offender. For all of the murderers, molesters, abusers and deeply corrupt politicians that never see one day in jail, this seems particularly harsh. What crime did he do that he did not get caught? Do the crime do the time. Do not feel one bit sorry for him. My house was broken into and family heirlooms were stolen. . They caught the person but nothing was returned. He went to jail for a short stay, got out and was caught again, got a short sentence and was caught again when he got out. Thieves deserve long sentences. I'm not exactly feeling sorry for him. I was trying to equate his sentence to the lack of any sentences for those responsible for extremely violent crimes, as well as the other real criminals. Those in positions of power that are stealing from an entire country and culture. They are, in fact, creating the culture of entitlement and, I think, this young mans lack of remorse. When the government role-models thievery, it shouldn't be expected that he would feel any shame, for just doing what he see's others doing. It's a vicious cycle, that needs to be remedied sooner rather than later. I agree. Some may feel this is harsh but the fact is that the burglar has not only stolen goods that someone had to work hard to earn the money to purchase but has also stolen their peace of mind, their comfort in their own home, he has added unnecessary stress financially and emotionally to his victims. Thieves should be punished. I must admit that I would be more forgiving of someone if he stole a loaf of bread. But that is my threshold. Whether he showed remorse, or not, 6 years is way too long a sentence for a teenager who is being tried for his first time. I too have had my home robbed a number of times, and yes, it is a terrible sense of violation. But to send this kid to an adult prison where there is absolutely no rehabilitation what to do think he will learn? He will become a bitter, resentful, seasoned criminal. What do you think he will do when he gets out? Go to college? This is very sad, particularly in a country that has an abysmally low rate of conviction for violent crime and murder. This kid is a scapegoat for the criminal justice system and the vindictive people who think this will actually do this young man good. This poor kid has just had his life changed for the worse (forever)......pathetic. Belize needs to continue to improve it's police and forensic training, and put emphasis on truly serious crimes. And, address the importance of rehabilitation. The only thing wrong with the sentencing is too little too late, and the inconsistency compared to other recent similar crimes and offenders. Zero Tolerance works, Rehabilitation is costly and rarely works. Zero Tolerance for all crime is proven effective, it just needs consistency. If the Police and the Courts continue with this policy it will have a positive effect and deter potential offenders. I am not vindictive I am a realistic problem solver.